Adult learners and non-traditional students are part of a fast growing college student population. And as more students with meaningful life experience and work experience join the student population, the demand grows for colleges and universities to accommodate their needs and skills. In order to meet this demand, colleges and universities are increasingly focused on students who wish to earn college credit for work experience. We’ll discuss what that means, who’s doing it, and how you can turn your work and life experience into real college credits, and eventually, into a degree. According to the NCES, between 2001 and 2015, the number of college students aged 25-34 jumped by 35%. While they project that this pace will slow, the NCES forecasts that the same age bracket will grow by an additional 11% through 2026. Online colleges and online degree programs have played a significant part in this growth, providing newly accessible and flexible avenues for non-traditional students and adult learners interested in improving their credentials, updating their skills, and advancing their career prospects. As this population grows, colleges and universities have worked hard to find ways of accommodating this emergent population. Awarding college credit for work experience may be a particularly savvy way of providing that accommodation. For so many working adults, the commitment of time and money to a full degree program may simply be too difficult to balance with life and work responsibilities. Colleges that award credits for work experience recognize this challenge, and offer a way to get a jump on completing your degree, often in far less time. While not every college or university provides this opportunity, there are many degree completion programs, competency-based programs, and lifelong learning outlets that are specifically designed to appeal to the needs of working adults. Many programs are uniquely structured for compatiblity with your work experience and career goals. First, we’ll identify a few of the best ways to get college credits for work experience. Next, we’ll do our best to answer a few of the most common questions that you might have about colleges that give credit for work experience. College credit for work experience is not necessarily new, but the variety of avenues available to working adults and experienced professionals seeking degrees has increased significantly in recent decades. This is especially true with the dramatic uptake in online college courses among non-traditional students. There are actually quite a few avenues to advancing toward a degree with the help of your professional experience. DSST Standardized Subject Tests: Designed originally with military veterans and service members in mind, DSST Standardized Subject Tests were extended to civilians in 2006, and represent a direct path from prior learning assessment to college credits in a wide range of academic subjects. Degree Completion programs are uniquely designed to serve the needs of working adults. In most cases, these programs are only available to those who have already earned some combination of college credits and professional working experience. Most degree completion programs apply to the bachelor’s degree, and many of these are accessible through online college programs. The methods of evaluating work experience and the number of credits you can transfer may differ from one degree completion program to the next. Find out how your work experience applies by checking out The Best Online Bachelor’s Degree Completion Programs. Degree Completion programs are uniquely designed to serve the needs of working adults. You can also check out our interview with degree completion expert David Batts, the Bachelor of Science in Industrial Technology (BSIT) Program Coordinator at East Carolina University (ECU). Major companies from Disney and Microsoft to Google and AT&T are noted for their well-regarded internal training programs. And countless other medium-sized and smaller organizations provide employees with training in a wide range of subjects like computer programming, accounting, and human resources. A number of colleges and universities may be willing to count this corporate training or education as part of your credit total. According to ACE, the CREDIT® Program undertakes a special review process of corporate training courses and curriculum to determine that programs provided by non-college educators are up to accredited college standards. Assessors review course content, curriculum and texts to make this determination as well as to determine the number of college credits that should be awarded for each course. According to ACE, roughly half of all regionally accredited colleges adhere to ACE’s recommendations when it comes to awarding degree credits for corporate education. Not all colleges recognize this type of credit, and others may place limits on the number of corporate credits that they will recognize. If you do have some corporate training in your background, you may want to seek out a college that gives credit for this experience. It could save you time and money. Start by finding out if your corporate training or education program is among the 35,000 courses, exams, and certifications from employers, federal agencies, professional associations, apprenticeship programs, online education providers, and other organizations recognized as credit-wrothy by ACE. Check out the National Guide to College Credit for Workforce Training to see if your corporate training or education could earn you college credits. For professionals who have already worked in the field, it is not uncommon to have earned certain professional credentials. If you have licenses, certificates, or certifications that have been recognized by an appropriate sanctioning agency, you may be able to receive college credits in recognition of the education and experience underlying these credentials. If you have licenses, certificates, or certifications…you may be able to receive college credits in recognition of the education and experience underlying these credentials. 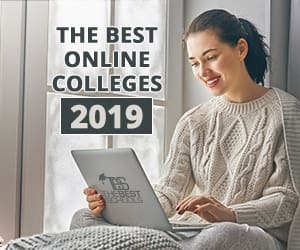 Regionally accredited online colleges may also offer credits in recognition of national and state-based licenses, including real estate licenses, aviation licenses, nurse licenses, and a host of others. If you are in possession of a credential that demonstrates your professional experience and level of qualification, it may be something that you can use to accelerate your progress toward a degree. If you’ve been in the military in the last decade, chances are that you already own some college credits, whether you know it or not. ACE recognizes a wide range of military training and education programs as being worthy of credits. Your experiences in basic training, first aid, and other dimensions of your military education can be used to advance your post-service degree. So too can some of the training that you’ve done in specific occupational areas of the military, whether as a service member or as a part of the civilian corps. To find out if your military service training and experience can earn you college credits, take a look at The Guide to the Evaluation of Educational Experiences in the Armed Services. And to learn more about turning your military service into an education and a career, check out our Military Education HQ. Another popular path to degree completion, competency-based education (CBE) refers to a college education which centers entirely on the development of practical and professional skills. In some cases, competency-based education may eschew the college credit system entirely in favor of awarding a degree or certification for the completion of practical courses. Competency-based education strategies have gained tremendous traction as more working adults enroll as students, especially in online college. As the Department of Education notes, "Competency-based strategies provide flexibility in the way that credit can be earned or awarded, and provide students with personalized learning opportunities. These strategies include online and blended learning, dual enrollment and early college high schools, project-based and community-based learning, and credit recovery, among others." Online college lends itself particularly well to competency-based education, providing both a flexible learning path for working adults, and delivering practical knowlege and skills to advancing professionals. In this context, two noteworthy regionally-accredited competency-based programs — Western Governors University and Capella University — provide two distinctive models for today’s online competency-based education strategies at both the undergraduate and graduate level. Western Governors University ranks among The Best Online Colleges for Military Personnel & Families! Western Governors University (WGU), established in 1997, is a private, non-profit online university. The school offers over 50 undergraduate and graduate degree programs in the fields of information technology, business, teacher education, and healthcare. The university was established by the governors of 19 states. WGU uses a unique competency-based academic approach. The school requires students to show competencies in certain areas, instead of focusing on credit hours in a classroom. Progress towards your degree is based on passing rigorous assessments which measure your skills and knowledge in your field of study. Western Governors University is supported by more than 20 major foundations and corporations. If you’re an organized, independent learner willing to devote at least 20 hours per week to your studies, but require flexibility in time and place to complete your education, WGU could be a smart choice. An accredited online university, Capella University offers bachelor’s, master’s/MBA, doctoral, and certificate programs designed to take you to the forefront of your profession. Their competency-based curriculum delivers foundational knowledge and real-world skills, so what you’re learning is immediately applicable to your career. Right now, more than 36,000 students are expanding their opportunities with Capella programs. Capella University Online degrees are available in subjects such as counseling, business management, criminal justice, project management, health care, information technology, nursing, public administration, and social work. Many of the courses and programs are designed to meet standards established by professional associations. Capella University is accredited by the Higher Learning Commission (HLC). Can you get college credits for work experience? Many colleges give credit for work experience, especially those that are focused on adult learners, non-traditional students, and professional advancement. According to the American Council on Education (ACE), there are over 35,000 non-college programs reviewed through the CREDIT program including courses, exams, apprenticeships, and other types of nontraditional forms of training. How many college credits can you get for work experience? The number of college credits you can get from work experience will vary from one college or university to the next, but typically, there are limits to how many credits you can earn this way. Most regionally accredited colleges will set the upper limit at 30 credits for prior learning assessments, certificates, or other professional certificates. Can I get a degree based on work experience? No. There are limits, usually up to 30 credits, for regionally accredited colleges. Be wary of shady for profit schools that claim they can award you a full degree just for your work experience. This is likely a scam that will result in a degree without any real value. Can experience be substituted for education? Professional experience can be substituted for education provided that this experience can be demonstrated either through a challenge exam (prior learning assessment), an academic portfolio, a professional license or certification, or another clear indicator of professional experience. In cases where your non-college programs have been ACE-approved, many regionally accredited colleges will give you credits for experience in place of education. Can you test out of college courses and get credit? There are a number of credit-granting challenge exams that may allow you to test out of prerequisite or introductory courses while earning credits. The CLEP and the DSST Standardized Subject Tests are two national programs that you can explore for testing out of college courses. If you are still in high school. there may be Advanced Placement tests that you can take to forego some introductory courses as well.